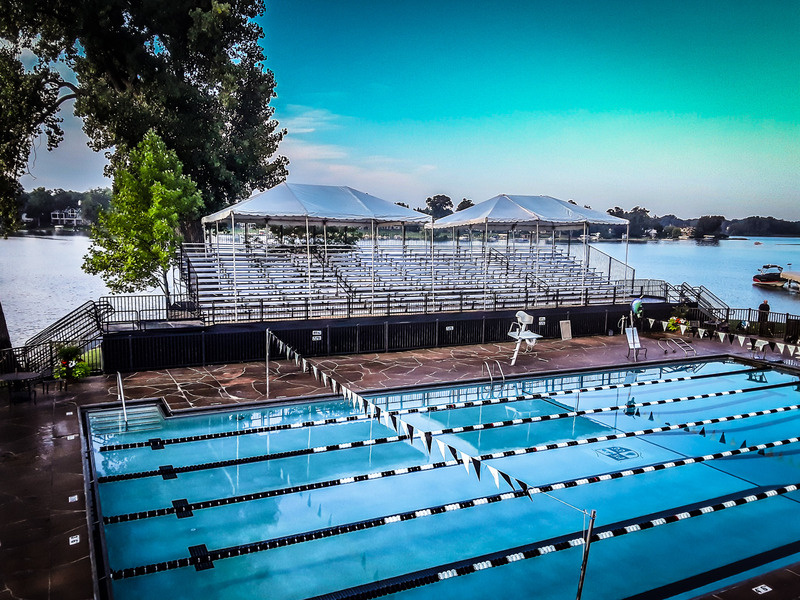 (West Bloomfield, Michigan) - Production Management One recently installed this custom seating system for 580 spectators at the Pine Lake Country Club for a swim meet. The elevated bleachers provided ideal sight lines to the action while the coverings ensured shade and shelter from the elements. Event seating is one of the most important parts of your event, and we have options to fit every budget.